Recently I have come across several references to how our ancestors celebrated Christmas, and the holiday traditions associated with the Twelve Days of Christmas. Looking at the cultural settings, when travel was difficult, especially during the winter months, it would make sense that Christmas would involve many days of feasting. Extending Christmas, as the birth of Jesus, to Epiphany, when the Three Kings arrived to give precious gifts to Jesus, makes even more sense when I include the Faith of the Pure Ray. 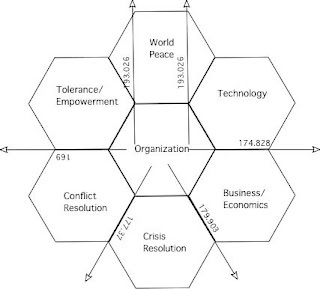 I realized that time of celebration would be perfect for planning the entire new year's activities with our Flower of Life people--the Pure Ray people--and if the plans we work together to create benefit everyone, we would have the initial financial support for our projects. Planning the year's events and projects with our Flower of Life people insures everyone stands on the principles of the organization, and allows them to take their segment's projects forward. It also allows us to work with the next generations to enable them to have a solid foundation for their lives. We will introduce eight government proposals each year. In September, we can all come together and reassess our progress.